Richards-Wilcox Hardware is a leading manufacturer of high-quality barn door hardware kits, including flat track barn door hardware sets. Adhering to a centuries-old tradition of innovation and excellence, we offer only the best. Sturdy, stylish, and easy-to-use—our sliding door hardware kits are built for longevity and made for daily life. 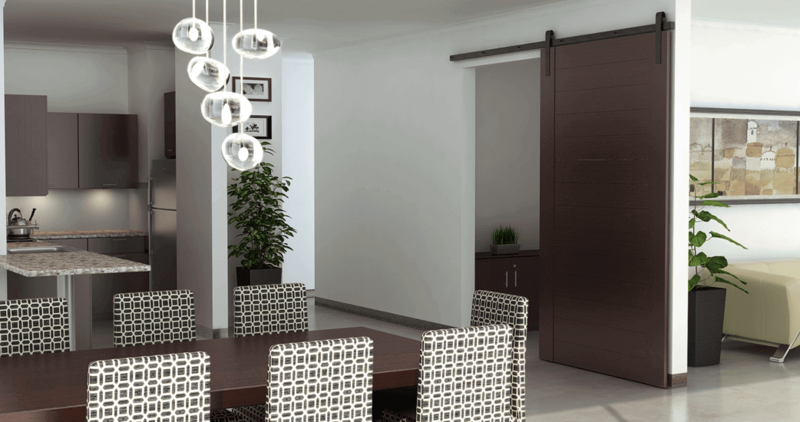 We carry the latest sliding door hardware kits for nearly every space or application, including homes, businesses, and barns. Whether you want to upgrade your home office, stable your horses, or refurbish a 100-year-old firehouse, we have the hardware for the job. 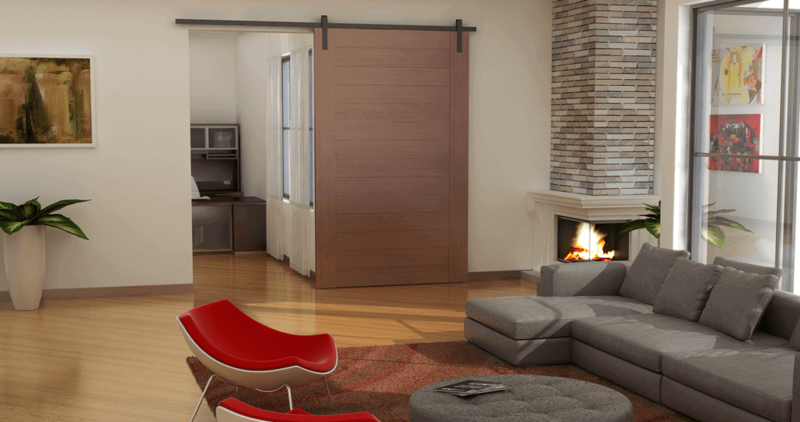 Order a barn door hardware kit today and apply for free shipping. Free shipping on orders of $250 or greater applies to shipments within the contiguous United States. For shipments to Hawaii, Alaska, Canada, Mexico, Puerto Rico and International destinations, contact Richards-Wilcox Customer Service at 800-253-5668. If state sales tax on purchase is required, it will be added during checkout. Browse through our online catalog to find the right sliding barn door hardware kit or barn door track. Whether you’re looking for door accessories, a single flat track barn door hardware kit, or a bi-parting sliding barn door hardware kit, you can find what you need at Richards-Wilcox Hardware. © 2015 Richards-Wilcox Hardware. All Rights Reserved.